Here Come The Sweet Peas! The first Sweet Pea flower has finally ‘Popped’, with promise of many more to come! Community Gardens, Foyer Food, Produce, The East Side, Time to eat!! Its rare that i buy a plant or seeding now days… i has to be something that i want desperately and right away… otherwise i propagate! Guerilla Gardening, Harvest, Produce, The East Side, The Flats, Time to eat!! 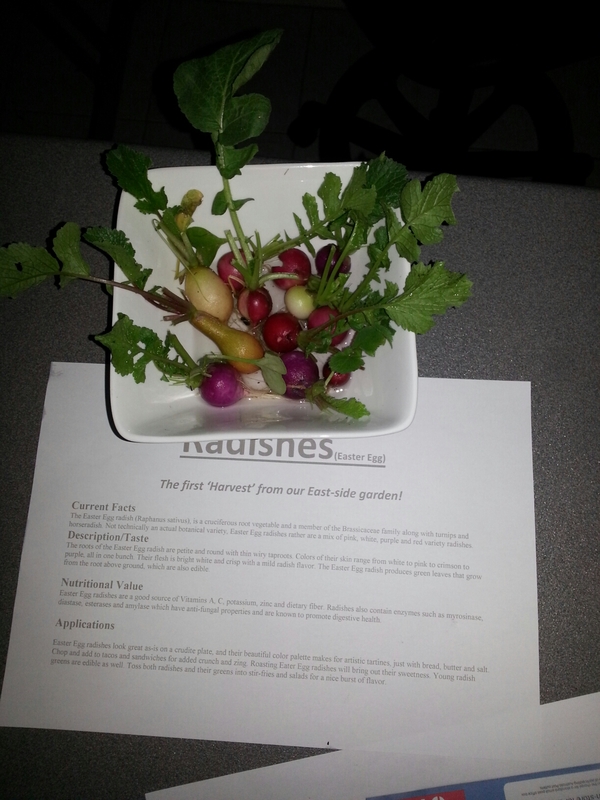 Radishes from the east side strip! I have a real love of easy to grow flowers. When I was really little, I remember that every time my Grandmother came over she would dig daisies out of our lawn! A few pics to show how well the East Side strip is progressing!